Own a restaurant, cafe or a pub? 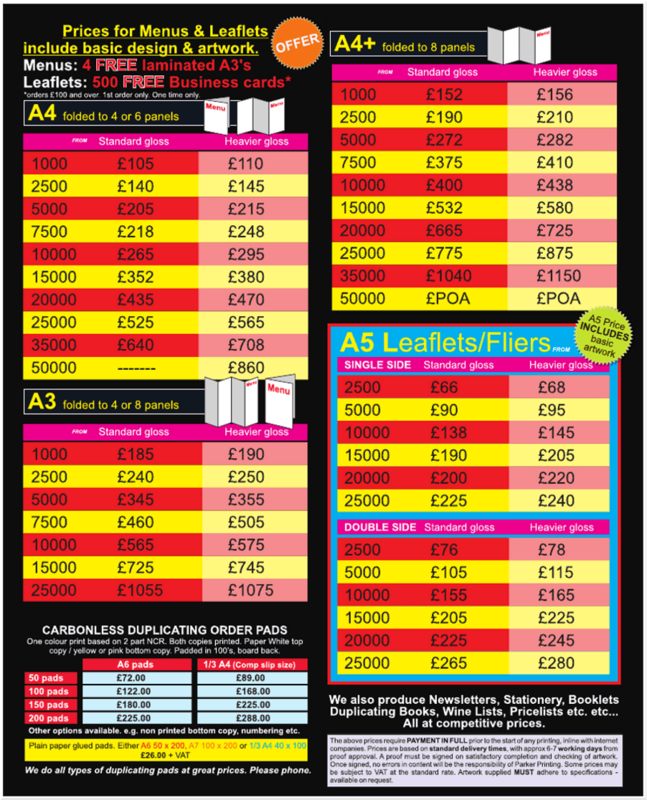 Are you looking for a high quality printer in Plymouth with the convenience of a high street collection? Place your order in person and have the confidence that your design instructions will be followed to the letter! If you need advice our staff are always on-hand to help.